Note: While this review will be spoiler free, it does reference events from previous books in the series. 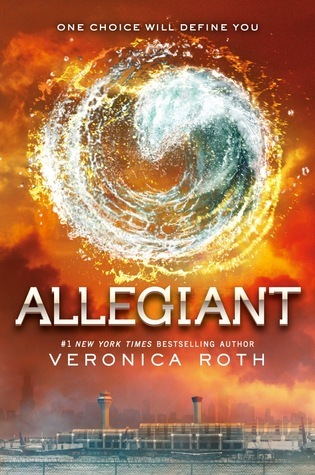 If you haven’t started this series yet, check out VBC’s review of Divergent. Writing this review was difficult for me. I read Allegiant in one sitting the day after it was released, but when I closed the book on the final page I was left feeling confused. I wasn’t confused about anything that happened and was far from ambivalent, but I couldn’t decipher how exactly I felt. Unfortunately much of the events that left me indecisive stray into spoiler territory, so I’ll do my best to explain while keeping out the spoilers. When we left Tris and Tobias, they had just released a video to the city, which outlined the city’s founders’ true intentions. We also discovered that the world outside the city boundaries might not be the wasteland we had been led to believe. When we enter Allegiant, the Factions have fallen, Tobias’s mother has come back from the dead as the leader of the factionless, and Tris is again in captivity. Also the relationship between Tobias and Tris is not on as stable footing as it had once been. In Insurgent, behind Tobias’s back, Tris had walked willingly to her own execution and worked hand-in-hand with Tobias’ father, the man who is responsible for the majority of the scars on Tobias body. In Allegiant we find out the true meaning and intention of the Divergent. The world outside the walls of their city is nothing like they could have imagined. Just when they had thought they had figured out their true purpose, bombshell after bombshell makes them reevaluate their identity, their pasts and their future. 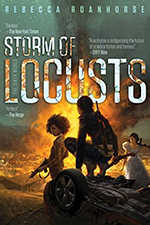 This book is intense and although at times I found the pacing sluggish, I was still glued to the page. Allegiant, more than anything else, is Tris and Tobias’ story. Not only does the narrator change between the two, we see their relationship grow and deepen. We see the stolen moments, the hurdles, the mistakes and final acceptance. The understanding that despite their own faults they only make each other stronger. Which brings me to another thing I loved about this book: the stolen moments between Tris and Tobias were probably some of the hottest on paper without being explicit. The reader is left wondering if what they think happened really happened, or if maybe they are reading a little deeper than intended. Personally I felt these moments added and enriched both of the characters. Each of the main characters needed the other to be their anchor in the world and situations they faced. The main reasons I am giving Allegiant four stars instead of five have to do with events that have to be considered spoilers. A week later I am still questioning decisions and actions made by characters in the last quarter of the book. 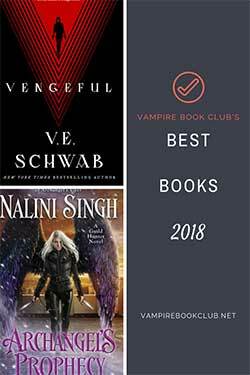 But writing this review has been cathartic for me, and allowed me to decide that no matter my misgiving I would still highly recommend this book and the series as a whole. I’ve not read this yet but I’ve heard a lot of mixed reports from people who have. I’m expecting this one at Christmas so I’ll have to wait till then to find out what I think! You were definitely a lot nicer than I was with your reaction. I thought the book seemed completely out of place in the series and that, because of the entire series of events leading up to the ending, it made zero sense. Not Evelyn’s ending, not Uriah’s ending and not Tris’ ending.